Paprika Wool Look Large Collar Coat is rated 2.5 out of 5 by 2. 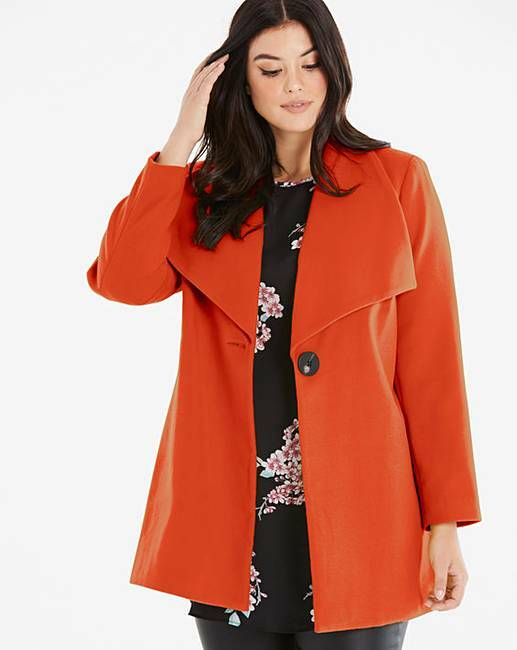 Turn heads in this gorgeous large collar coat, a must-have for your outerwear wardrobe. Whether it's worn over jeans and a T-shirt with a pair of pumps, or over leather trousers and a blouse with your favourite stiletto heels, it is the perfect coat for all occasions. Rated 4 out of 5 by Sally Ann from Very smart I totally disagree with the other review by Boxy, I ordered this jacket and have had many compliments. I ordered a size 16 and it fits perfect, the fabric is lovely and soft and it doesn’t lose it shape. I think its very flattering maybe I’ve just teamed it up with the right clothes. If the jacket had side pockets I would have rated the jacket 5⭐️.